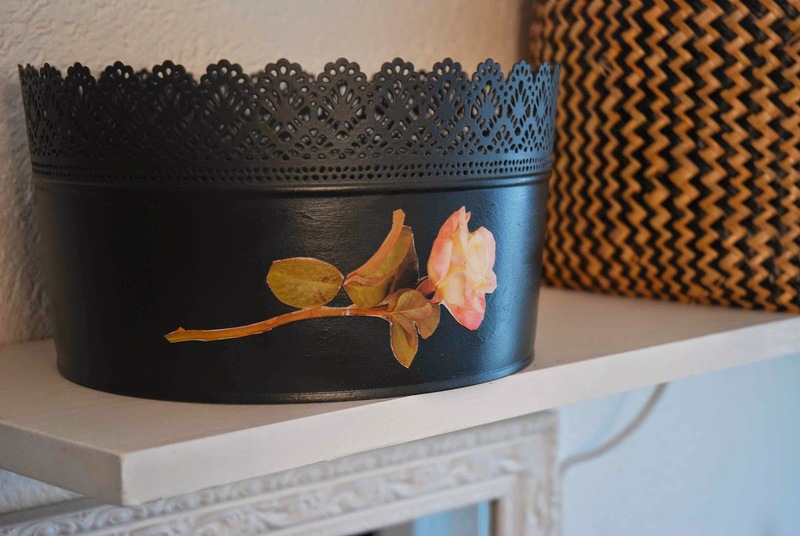 My most recent project is another example of taking something new and reworking it to create a product that fits perfectly with your style and home decor. 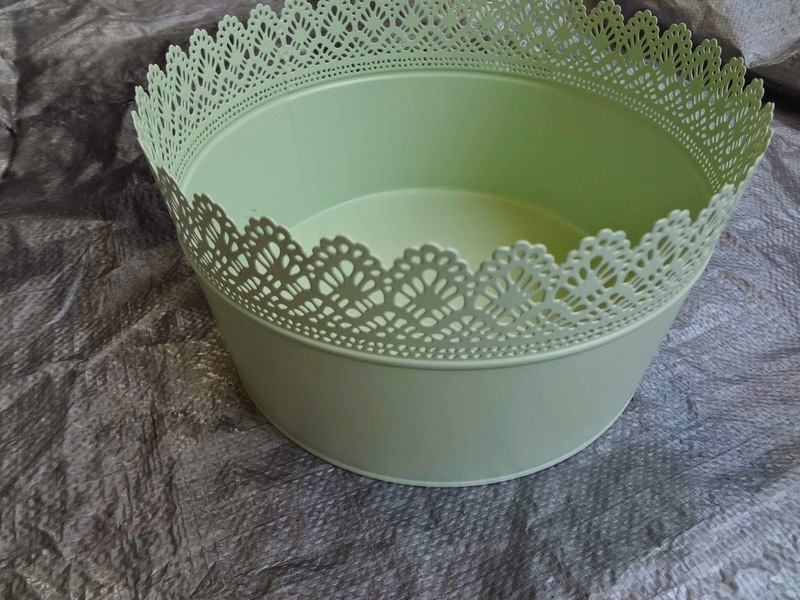 Last week, I purchased a mint green container at Ikea. 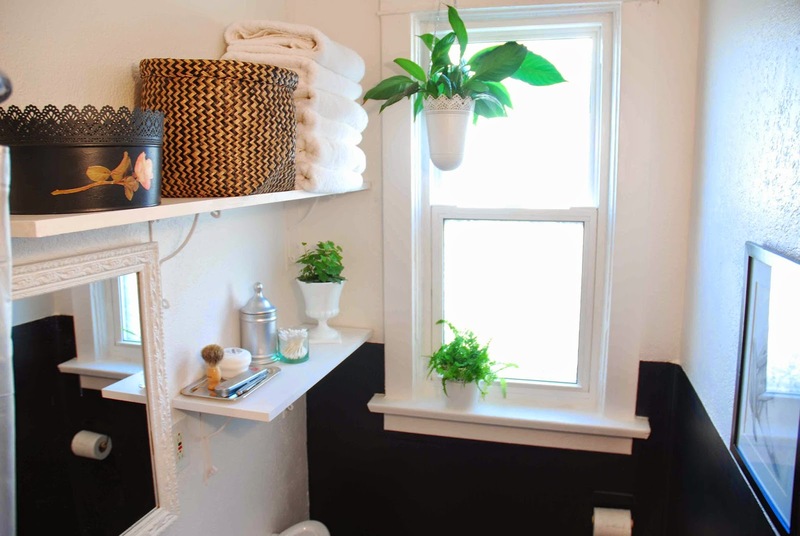 As soon as I spied it, I knew it would be just the thing I needed to store some of my bathroom toiletries. 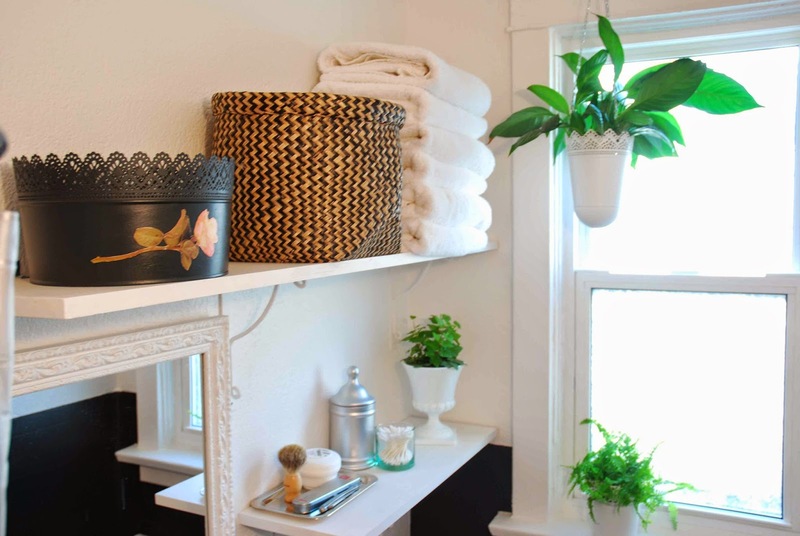 (In the hopes of creating more storage in our bathroom, we put up some open shelving above the vanity. 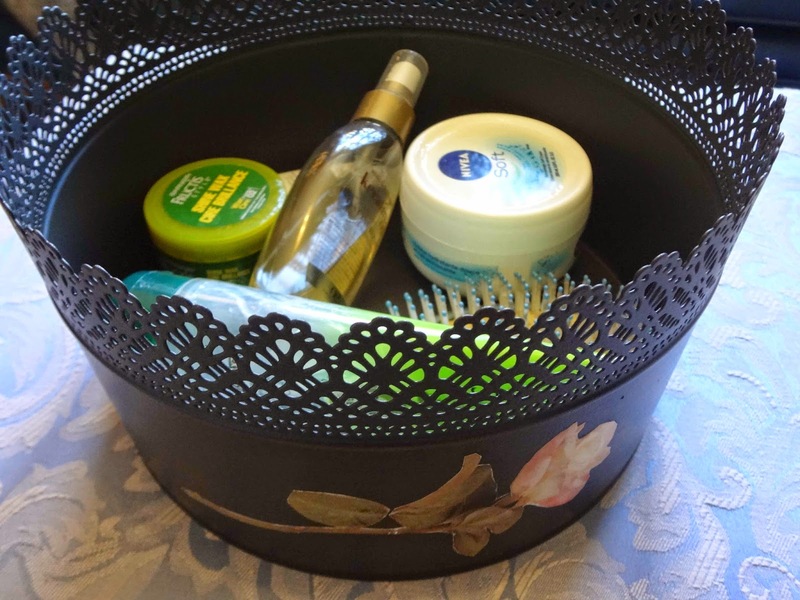 My new container would be a great way to utilize this shelving whilst not displaying my ninety two hair products). First I had to spray paint the green Ikea container. 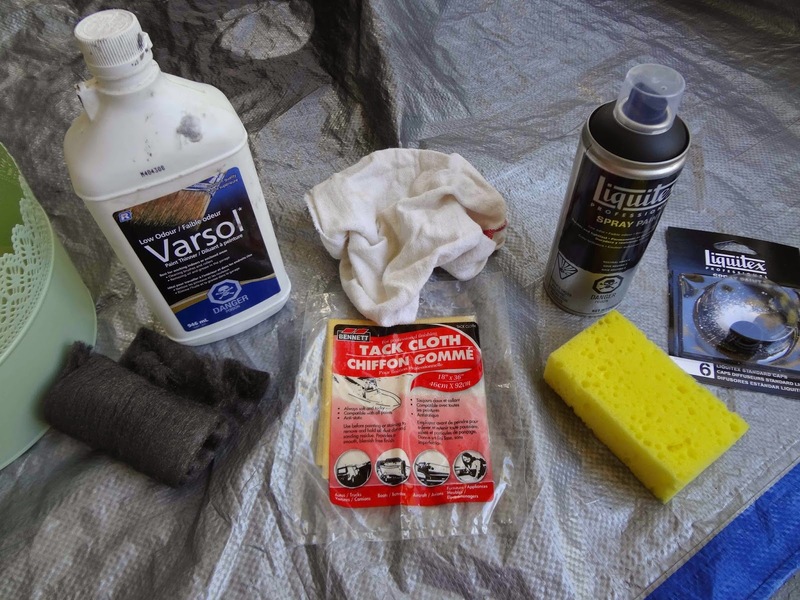 Remember, when spray painting: clean with varsol and steel wool, wipe with tack cloth, spray at a distance and always have a sponge ready to dab at any drips. 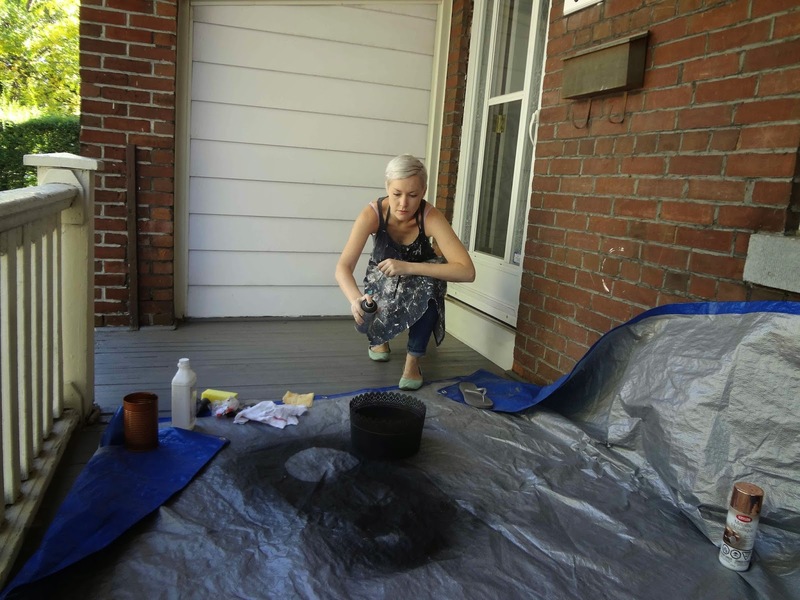 You want to hold the paint can at least 12 inches away from the object, and shake the can slightly from side to side (the motion of waving your hand or shaking a dice) as you spray. Time to decoupage! 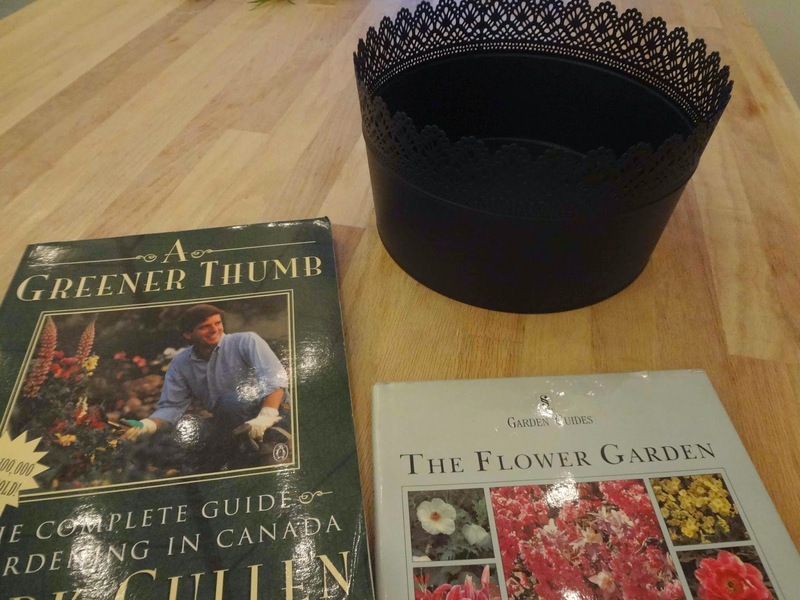 I bought some cheap gardening picture books at Value Village to use for this project. 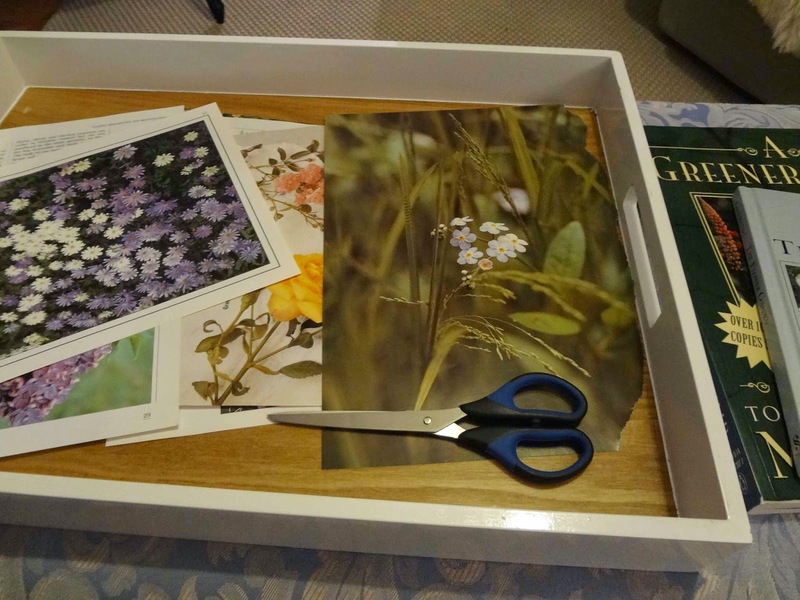 I cut out a bunch of different flowers from the books, and eventually decided that a photo of a single rose would be the perfect image for my decoupage container. 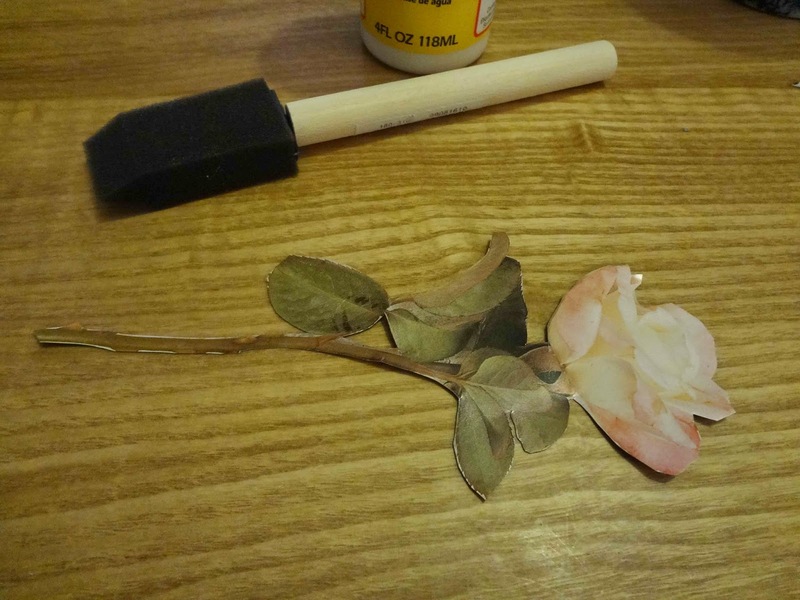 Rose photo cut out and ready to go, sponge brush, ModPodge. I applied the ModPodge, laid out the rose, and then applied more ModPodge. For the application, I found it was good to have a ruler (or some sort of straight edge tool) near by to use as a 'smoother'. 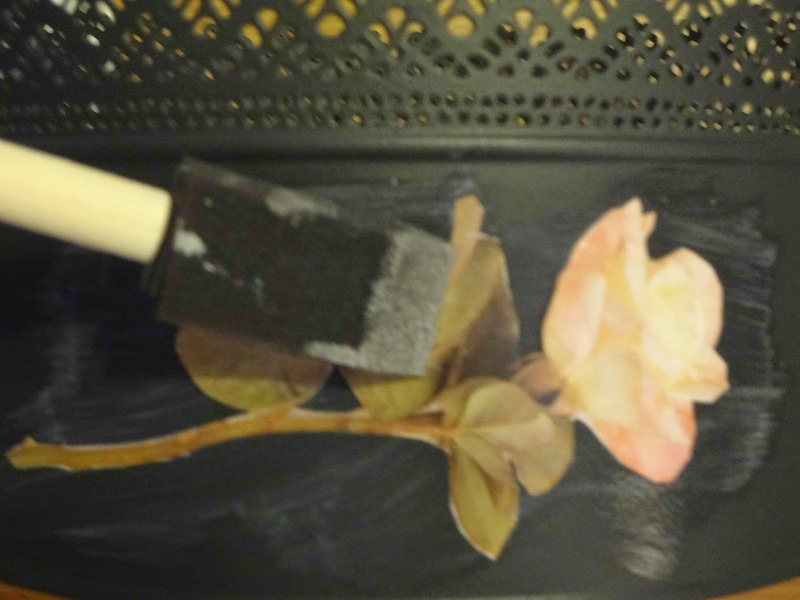 I ran the ruler over the rose a few times to remove air bubbles and create a smooth, tough finish. Done! I brushed the ModPodge on to the entire circumference of the container so that the finish would be continuous and smooth. (I used a matte finish ModPodge). The bathroom is finally coming together! beautttttiiiiffuullll I just can't leave this page!!!! It almost brings tears to my eyes!!! I've tried making the scones, but mine burned!! What is your trick to this??? 1. If you don't already have an oven thermometer, try using one. Your oven my not be at the temperature it says that it is. 2. Place your baking tray in the upper part of the oven, away from the direct heat source. 3. Use parchment paper on your tray. 4. If the biscuits are still burning, turn the heat down and bake them low and slow! Hope that helps!